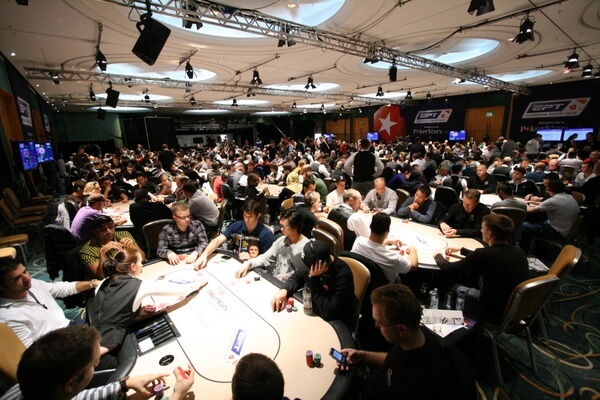 We have seen a recent rise in popularity of online poker and has actually been viewed as a sport in the US rather than just a game, this is a massive evolutionary jump, is due a great deal to increased media coverage of the high stakes poker tournaments. Geographically, different online games prove popular to the residents of that country. For example, Australia has online casinos that boast a long, long list of online pokies as the populous simply love their slot games. The Asian populous however enjoys playing a version of more traditional games like Mahjong, and Pai Gow which is played differently from the Americanized version called Pai Gow Poker. In fact most countries show a different slant on preferences if the statistics are studied. Interestingly enough, online poker is up there with the best of games, enjoying universal appeal. Taking that into consideration even if you are used to playing high stake games when beginning to play online starting with lower stakes really is advisable. This is so you can familiarise yourself with the different nuances of the online games besides playing some solid poker. If you are a novice at the game, playing with lower stakes also means you can play online with a smaller bankroll, which reduces any stress of playing for real money. In the long run the simple fact is most players will lose some money, some players will enjoy the game for its recreational advantage and some will actually beat the House Rake (the percentage that the House takes for running the games) and win some cash. Many players make the same mistakes when playing poker, both online and live. Whether it is letting emotions get in the way or thinking short term, both can affect your decisions and you really should make those choices with a clear frame of mind whilst also realising that poker is a long term game so even if you do make all the right decisions you can still lose frequently simply because there is a lot of short term luck involved with the game. This can be seen when a player will make a correct play, lose the pot, and then begins to second-guess themselves. There are several aspects that are unique to the game of online poker like using the time bank feature as for some players having a set time limit to act means that they have to make some big adjustments from the live games where usually they would have at least a few minutes to act. Any new player at online poker should also make themselves familiar with the layout and lobby of the site, the cashier page, the rake back and what bonus offers the site gives to new players and what the betting features are. Easing into the game instead of playing a whole bunch of hands is also a good idea for it is very easy to jump in feet first and find yourself playing a large number of hands. In general the large number of hands that you would see each hour at a bricks and mortar venue will double when playing online, and this takes some getting used to, so don’t multi-table either, create for yourself a distraction free zone, and make sure that your hardware can cope well and give you that ideal environment to function well in.